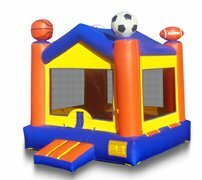 COMES EQUIPPED WITH SAFETY STEP, LARGE BOUNCING AREA & 2 BASKETBALL HOOPS Unisex Colors perfect for a boy or girl. 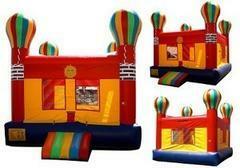 Decorated with hot air balloons at the tip of each column, to go along with any kind of party, or celebration. Always a good time guaranteed! 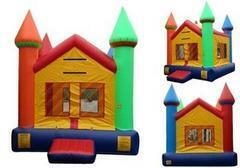 COMES EQUIPPED WITH SAFETY STEP,LARGE BOUNCING AREA & 2 BASKETBALL HOOPS Perfect for any little prince or princess! Guaranteed to provide hours & hours of fun! 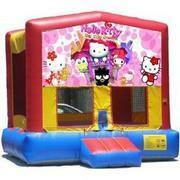 COMES EQUIPPED WITH SAFETY STEP, LARGE BOUNCING AREA & 2 BASKETBALL HOOPS Unisex Colors perfect for boy or girl. Decorated with all kinds of circus animals, & with the bouncehouse designed just like an actual circus tent, kids can really let their imagination run wild! 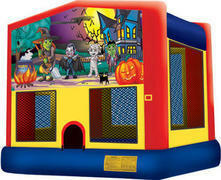 Guaranteed to provide hours of nonstop fun! 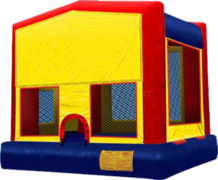 Spacious 15x15 Large Bounce House with Large Jumping area that will fit 10 at a time, basketball hoop, and safety entrance/exit ramp. 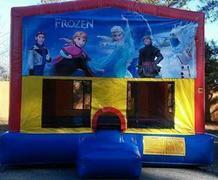 This Bouncer comes with no Theme Banner. If you wish to have a banner to go with the theme you're doing. Please request it . We have many that are not listed on our page yet. Dora The Explorer, Jake & the Neverland Pirates, Sophia, Dr.McStuffins, TMNT, Spiderman, SpongeBob, Barbie, Monster High, Birthday/Graduation/Congratulations Banners, etc. 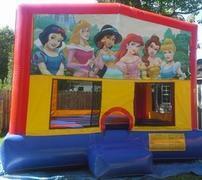 large jumping area and basketball hoop inside. 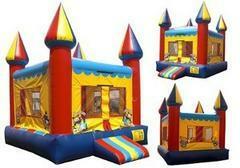 Large 15x15 jumping area & basketball hoop. Princess for a day, but memories of a Lifetime!! 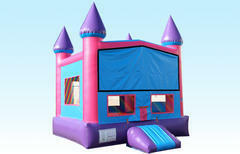 Make your little princess's dreams come true in this pink, purple and blue inflatable Castle Bounce House!! 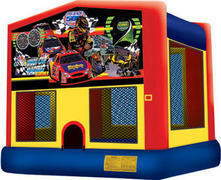 Spacious Jumping area, basketball hoop inside, and mesh windows so the greatest spectators can view inside! Safety entry and exit step included! 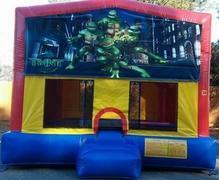 Any of our Module units are ready to rent out as is, with or without a banner in the open space on the bounce house. If a banner of your theme is desired, please look under our panels, or email or call us to inquire about the one that you're interested in, even if not listed.